I loathe dusting, so becoming a serious collector really doesn’t interest me at all. Instead of having a house full of tchotchkes, I’d much rather amass experiences. As a result, the only items I have multiples of are ticket stubs, bottles of sand, and matchbooks. While those three items may seem unrelated, I keep them around to remind me of events I’ve attended (ticket stubs), places I’ve been (sand), and adventures I’ve had (matchbooks). I really have no idea what a sand collector is called, and ticket stub hoarders likely don’t have a name. 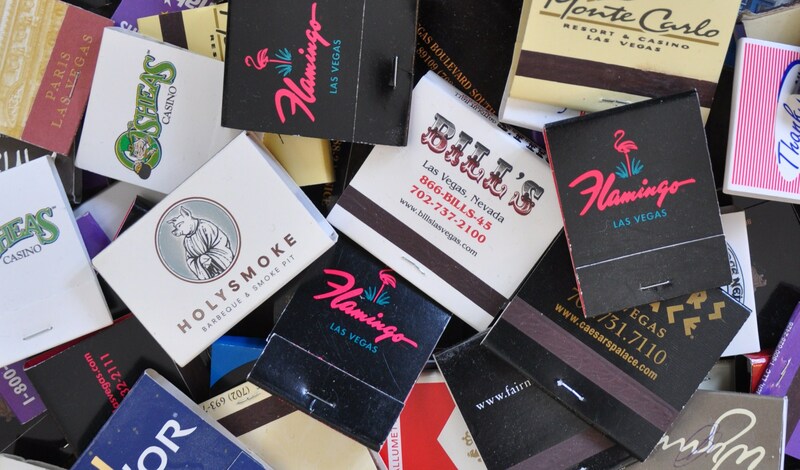 But apparently the hobby of collecting matchbooks and matchbook-related items is known as phillumeny. It was so named in 1943 by British collector Marjorie Evans, and has (not really) taken the world by storm since then. 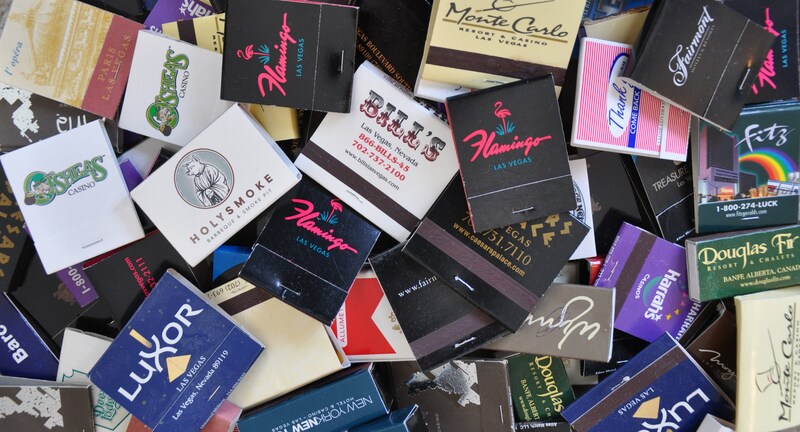 While my matchbook collection is only in the double-digit range, Guinness World Record holder Emilio Arenas Florin of Uruguay has amassed 9130 unique matchbooks. So the answer is yes, there is a Guinness World Record for everything.